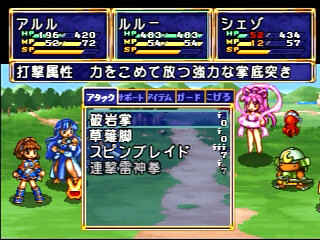 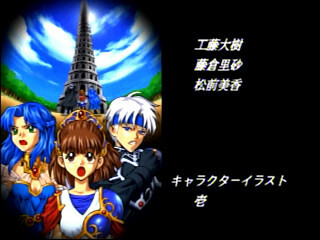 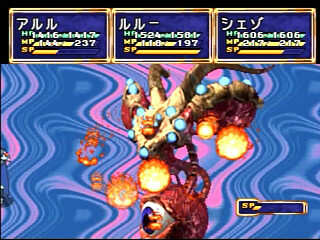 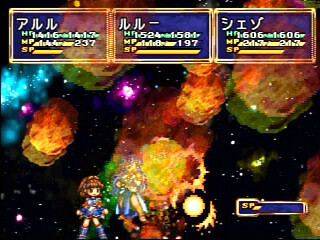 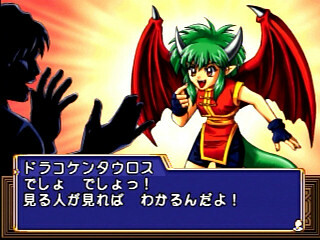 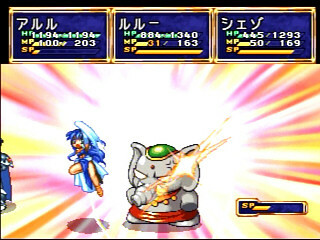 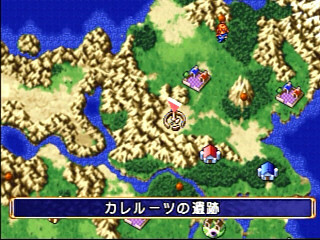 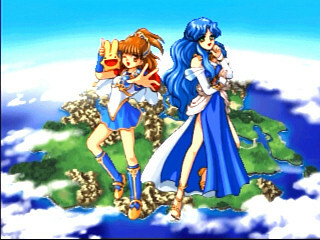 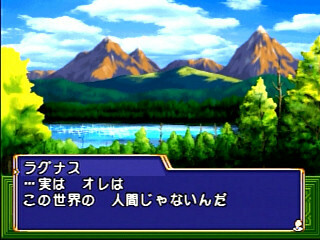 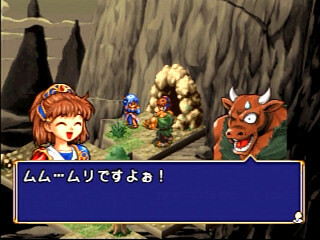 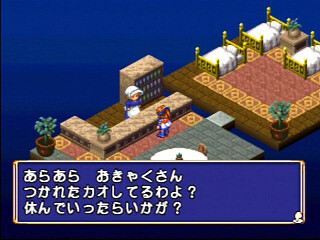 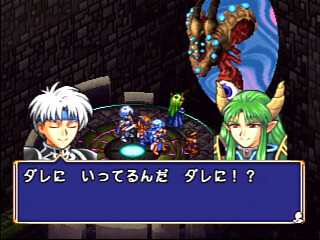 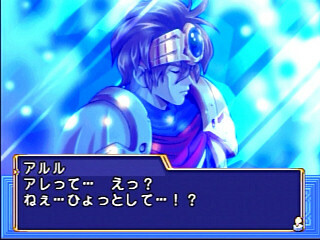 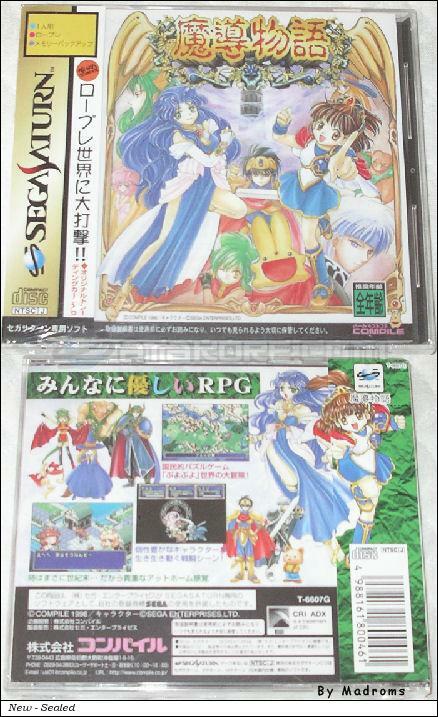 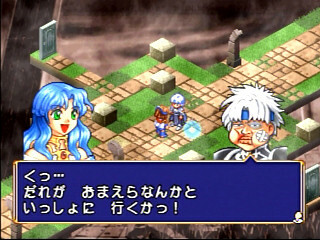 Madou Monogatari (魔導物語) is an RPG game, developed by Compile / Sega Enterprises, Ltd. and published by Compile, which was released in Japan in 1998 for the Sega Saturn. 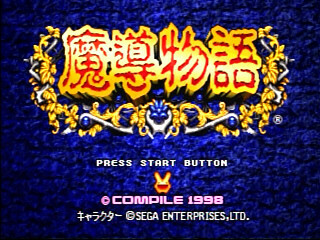 Compile / Sega Enterprises, Ltd.
11 .BMP files and 1 .TXT file in the OMAKE directory. 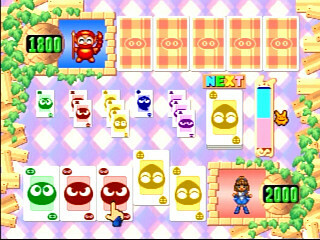 This game came with 1 trading card. 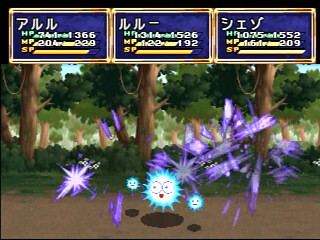 Here is the list of all the ones available. 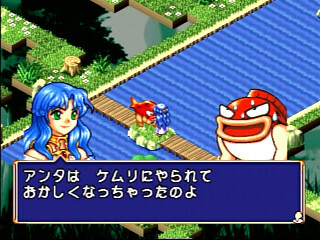 Unlike what some people may think, Madou Monogatari is not an RPG based on the Puyo Puyo characters - it's the other way around, Puyo Puyo being a puzzle game based on Madou Monogatari characters! 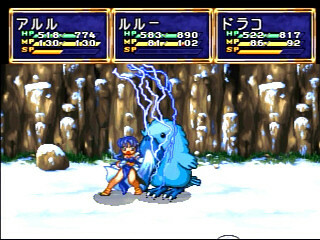 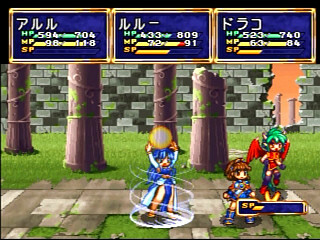 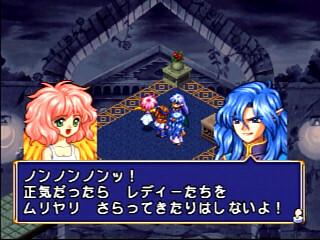 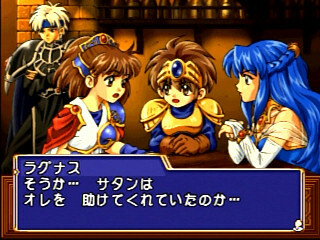 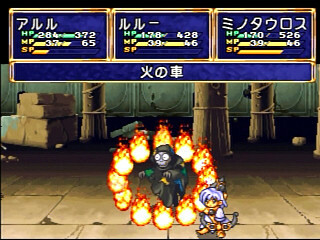 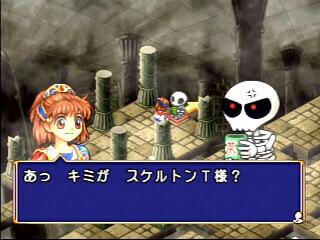 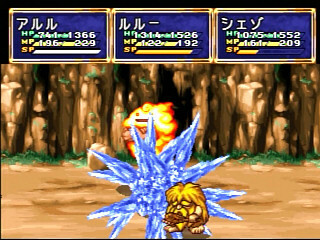 While the first Madou Monogatari games were dungeon crawlers (similar to the Wizardry series), the Saturn episode is more like a classic SNES RPG, although much, much simpler. 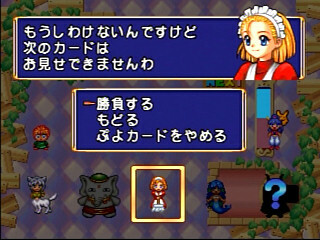 You don't have too many options for customization, nor you have any levelup quirks, only a good share of items to pick. 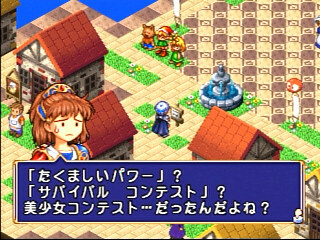 The simplicity is a bliss to non-japanese gamers however, as the game is fully playable without any knowledge of the language. 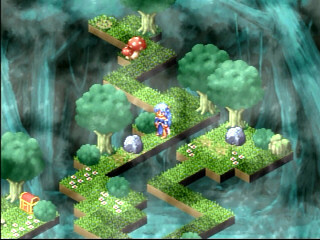 While the game is fairly linear, the dungeons themselves are not! 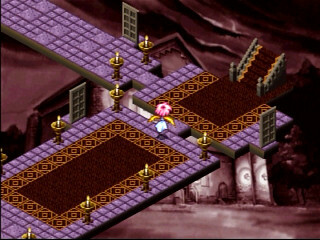 Unless you have very good memorization skills, you may be forced to draw maps due to the absolutely devilish labyrinths throughout the game. 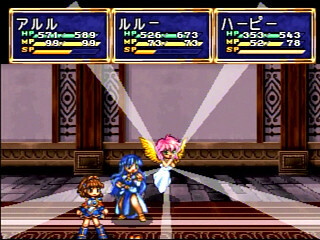 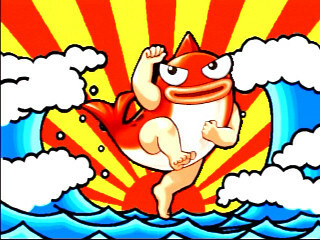 But the nice ADX music, just plain wierd character designs, and excellent sprite animation will make you forget all of that. 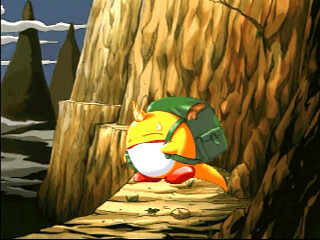 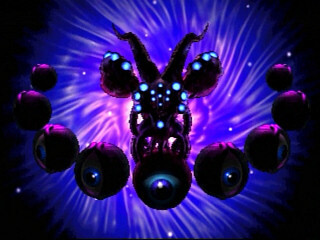 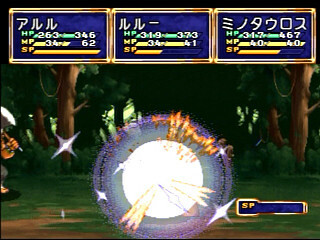 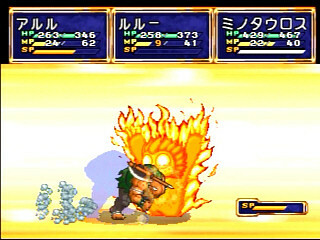 And even though the game is fairly simple, it shows a lot of great ideas that you'll enjoy - the alternate game style in the prologue, the art gallery with unlockable hidden pictures, the great amount of distinctive characters who (temporarly) join you along the game, the Special Attack system (similar to FF7 limits, but with character specific prerequisites for filling up the meter), and the Puyo Puyo Card Battle minigame all fall under these excellent ideas. 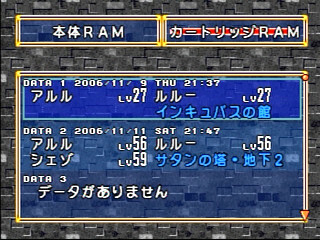 You even have the classic "New Game +" option where you can cycle your stats from a previous finished game to a new one. 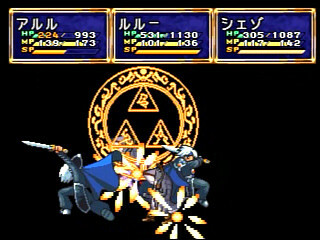 On the other hand, there are some things that may bug you - such as the inability to pick the order of your characters attacks. 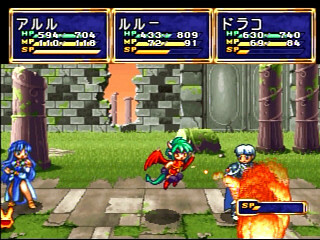 Compile clearly had a lot of good ideas for an RPG game, but not enough expertise to put it all to action. 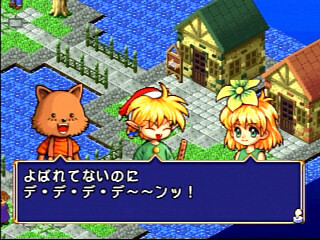 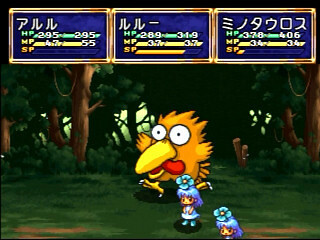 If you want a simple, easy to pick up, and very hilarious RPG adventure, you'll enjoy Madou Monogatari - especially if you are a fan of the Puyo Puyo games.